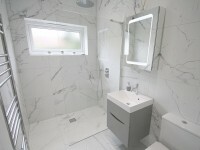 Very friendly and polite team, organised and efficient, brought lots of good ideas to the room design- Niches with lighting. 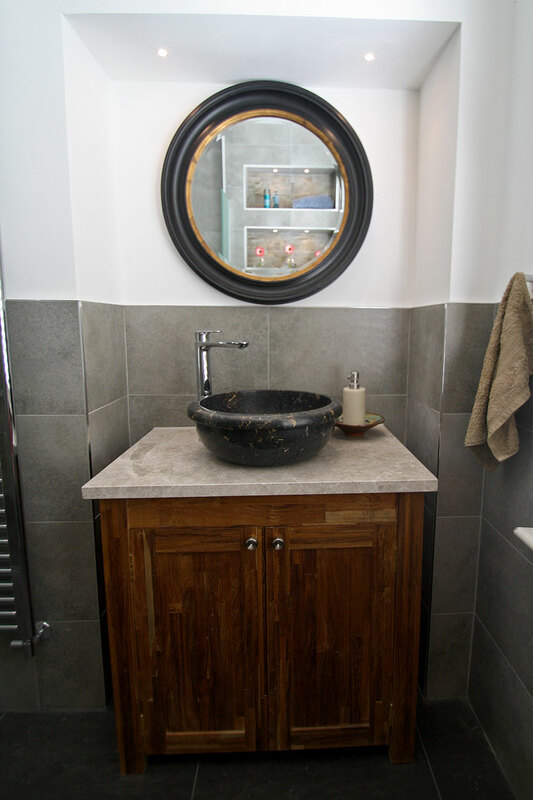 A couple of plumbing problems that arose during the project could have been calamitous but were rectified quickly. 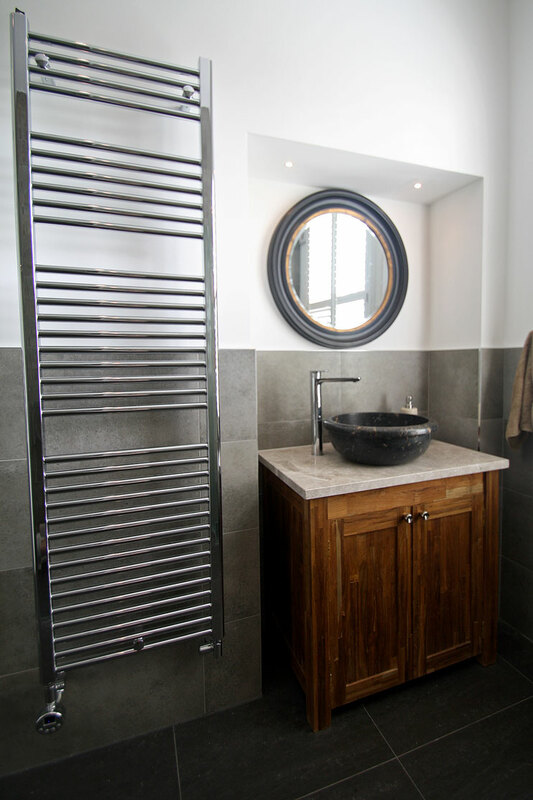 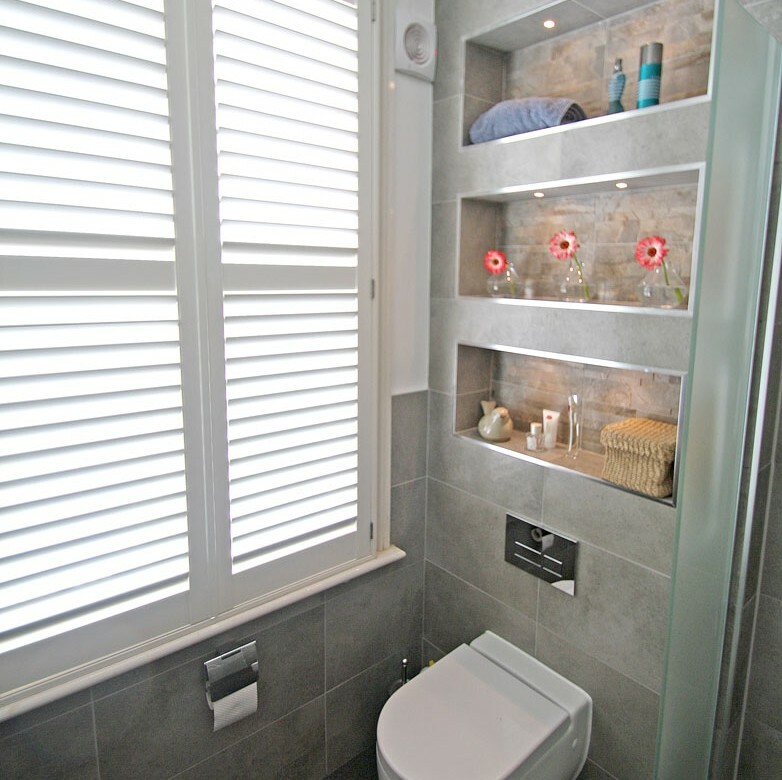 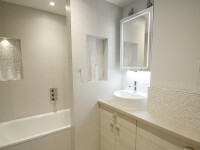 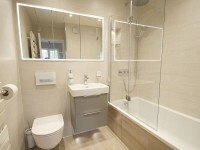 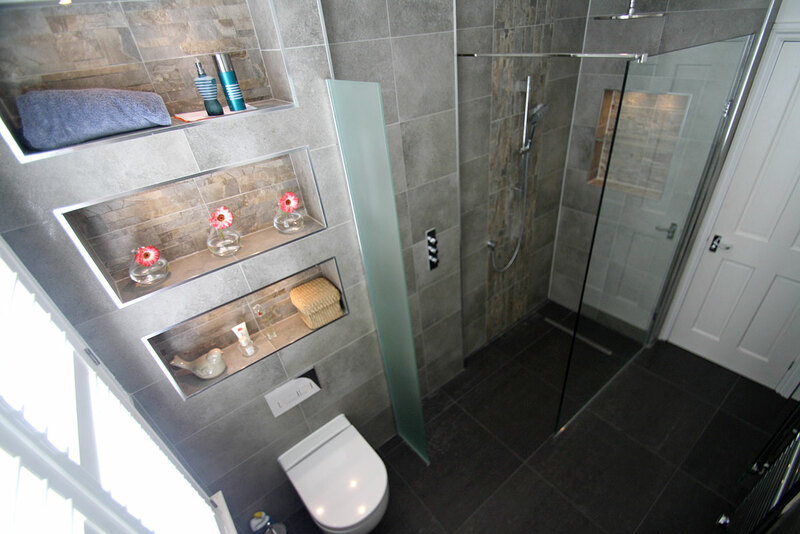 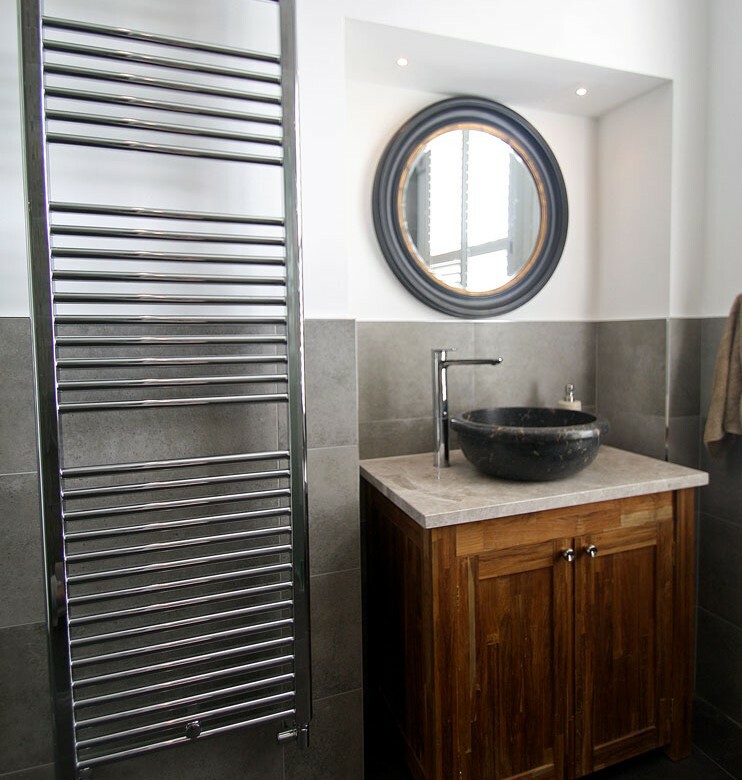 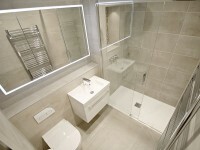 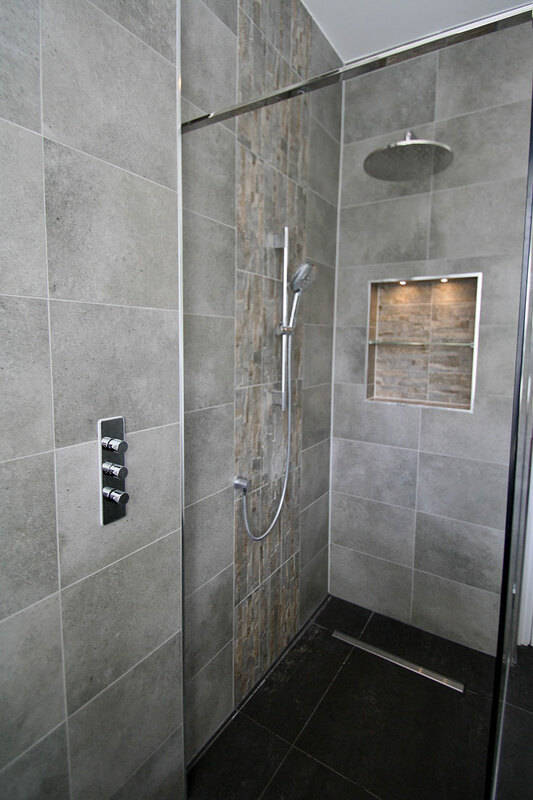 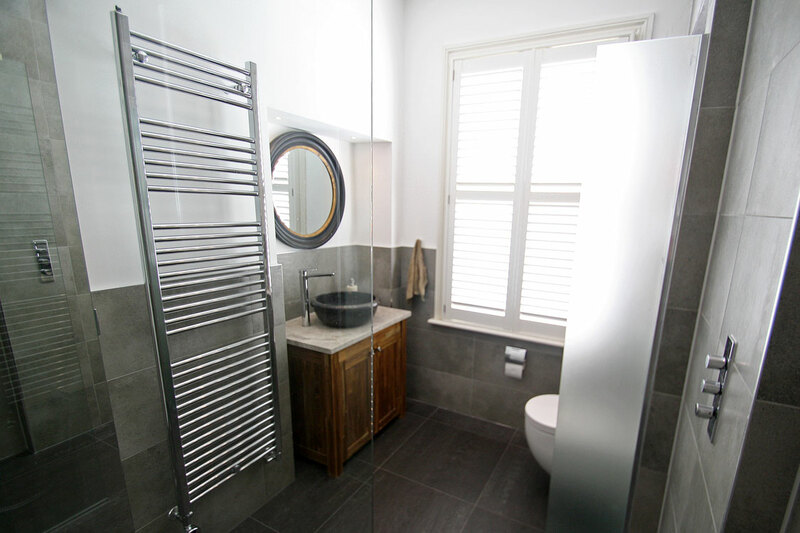 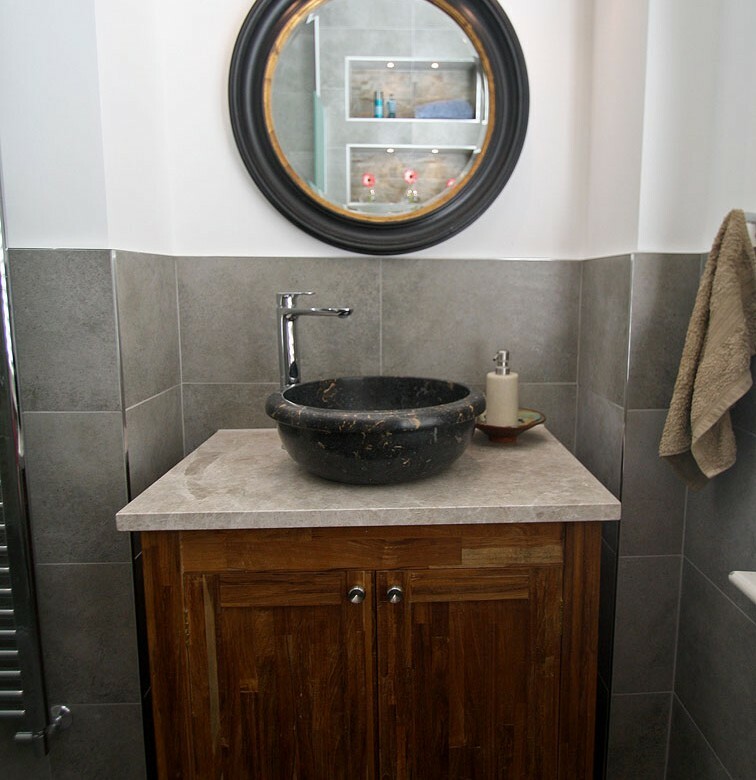 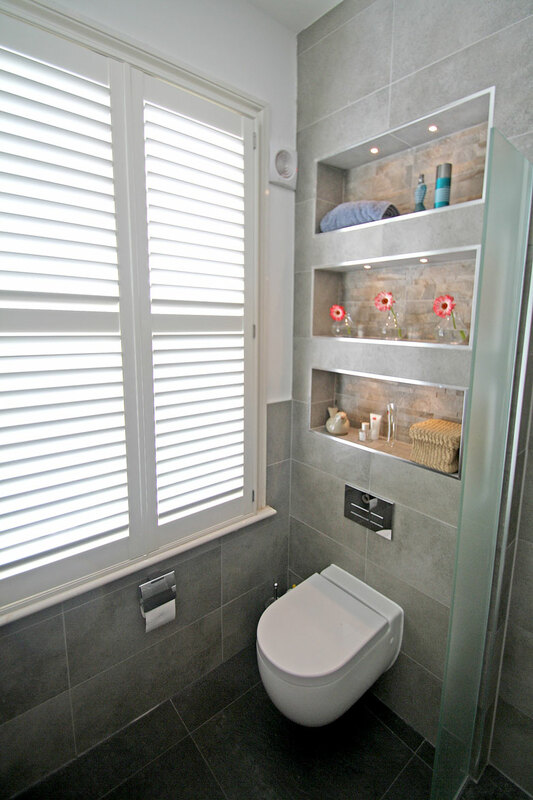 Structural alterations where undertaken to combine two small bathrooms into one large wetroom. 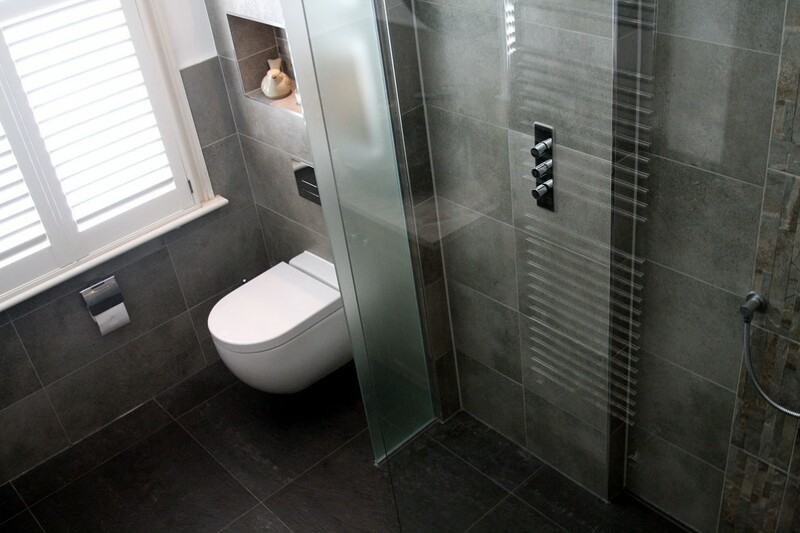 Inspired by natural stone, the matt grey tiling scheme works very well with the textured accent tile which was also installed in the Illuminated tiled recesses found throughout the wetroom. 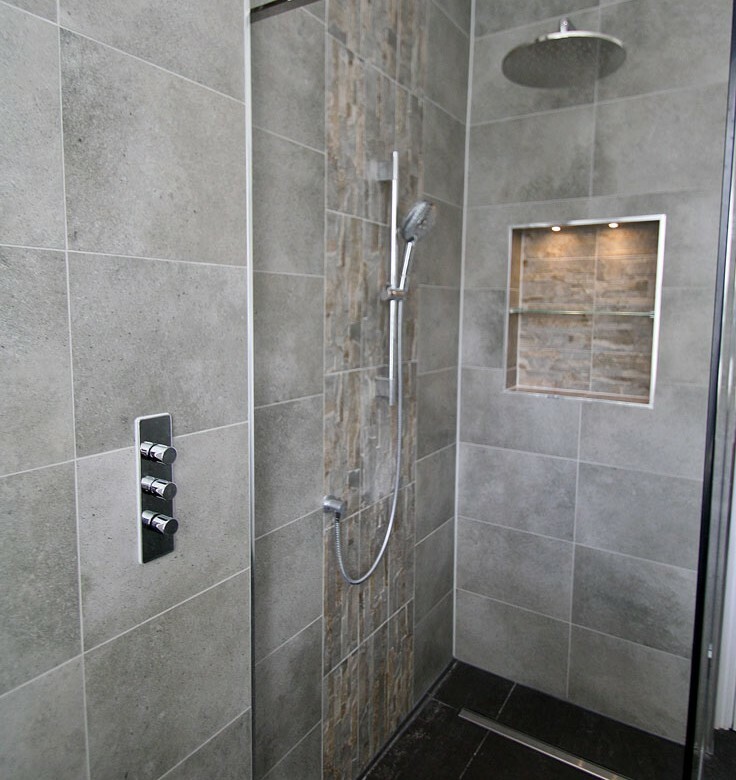 The large fixed shower head and slider kit make for a luxurious shower experience, and the dark large format floor tiles complement the dark stone countertop basin.